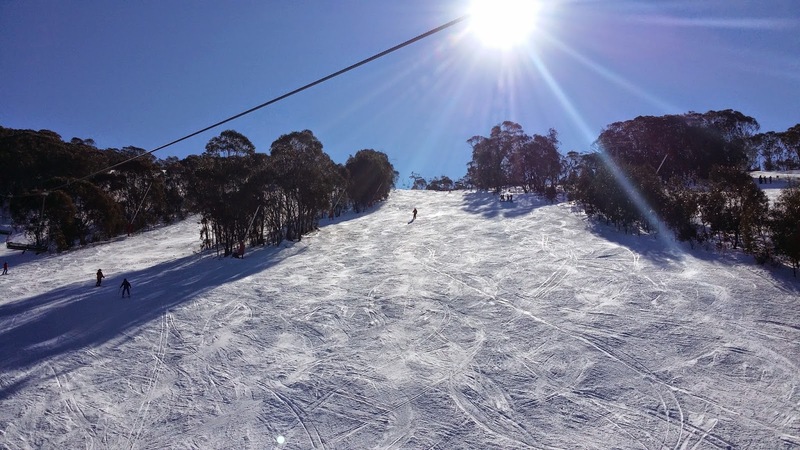 A few of you who have never skied before, have asked for some tips on how to have a more affordable ski holiday in Australia. 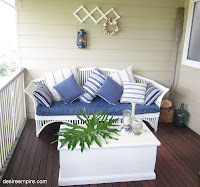 If you are purely here for those tips, scroll down. 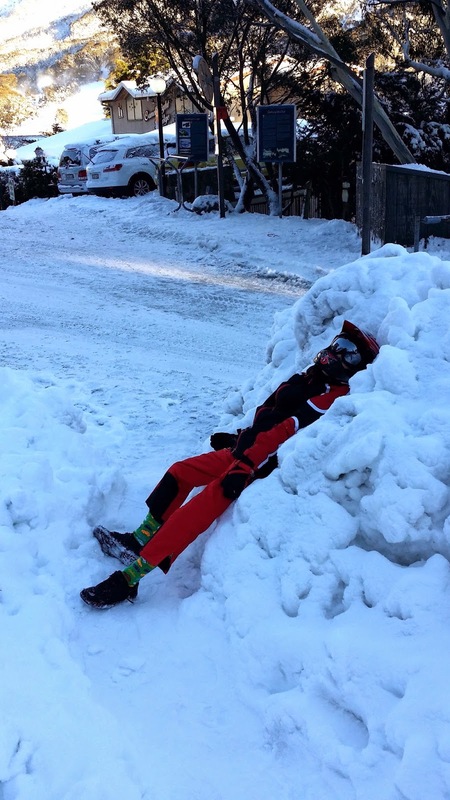 First up is my personal experience of the early 2014 ski season. It sure is shaping up to be a memorable one and when it's like that, I want to be amongst it. The shot above and below by and large, define our fabulous 2014 ski holiday. There was me, trying to keep up with a kid who thinks he's bullet proof. 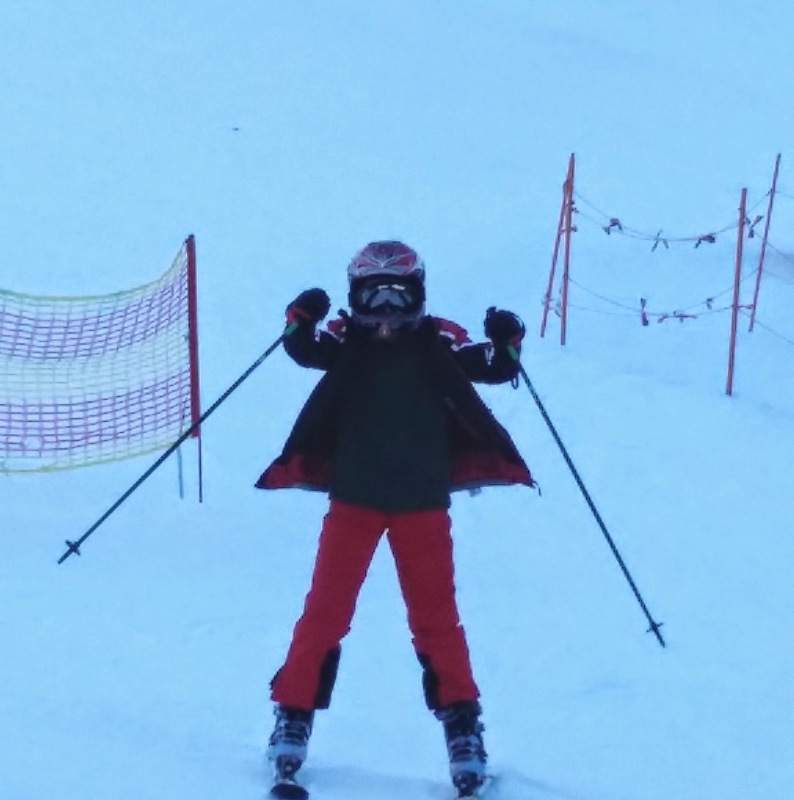 I also realised the mantle has passed to the next generation of skier in our family. A faster one, who is currently short on style and big on guts. He was always ahead of me on the slopes and one thing is for sure. I saw more of the back of this kid's head the whole holiday, than I ever have before. Note the time on the clock. Yes that would be 8am. The first lift didn't open to the public until 8.30am, and we would be the ones waiting in the queue to get the first chair up each morning. We also skied to practically the last lift most days. In consequence, I have been sleeping in the whole second week of the holidays, just to catch up. 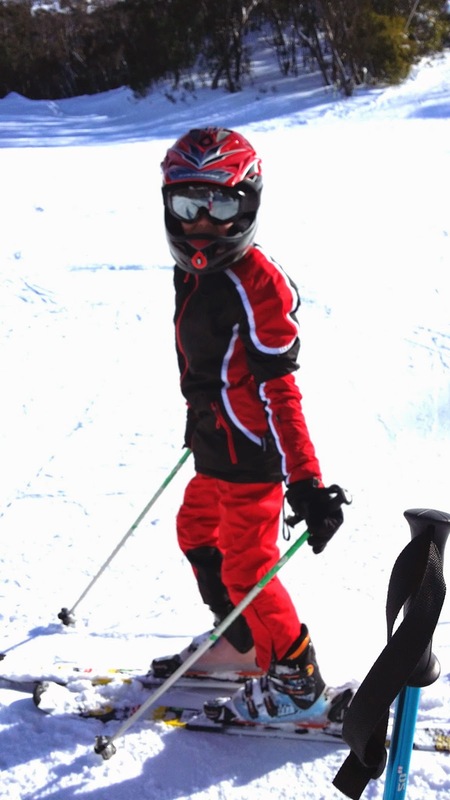 For my boy, the style will come, as it always does with mileage under your skis, but the confidence he gained on this latest trip was priceless. In my efforts to ski as though I am still 25, I did this to my head. I apparently broke my neck skiing in 1991, although I didn't know until it had healed, so I guess that's an improvement and I should be thankful. 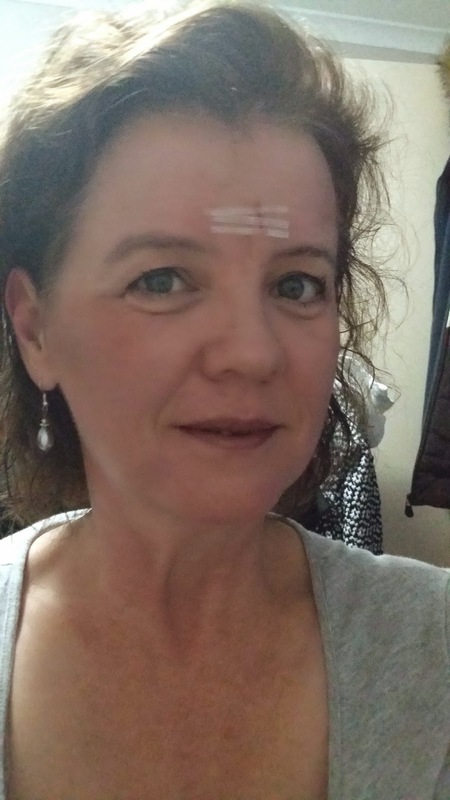 The cut being on my face though, was a bit of a bummer, as I don't need anymore scars or wrinkles on there than I already have. The Strei Strips may have been an over kill type placebo, but I wasn't taking any chances and I now have more empathy for a little kid who needs a band aide for a cut, when it will clearly make no practical difference at all. Although the fall that caused that cut, psyched me out for an hour or so, it wasn't as bad as it looks and has healed nicely. I am hoping once it fades, I will forget it ever happened. Both the Beach House Brat and the Ski Patrol guys were lovely and helped me get my shizz together on the mountain. Having skied since I was 4 years old, I practically never fall over, but kept doing so a lot these holidays. It was out of character, so I went and changed my hire skis and that made little change. I finally realised my skis were probably too short and I couldn't see the front of them over my goggles and kept crossing the tips. I kept doing the full face plant and hitting my fore head. Until that time, I had resisted the new trend towards adults wearing helmets. My theory was that I have survived for 44 years without one, so why do I need one now, but as a result of three head hits, now I am a convert. Also next time, I will be adding a few centimetres to my skis, in the hope that it will make a change for the better. Up until the head injury, the Biggest Beach House Brat was hot on my heals. After that I told him to go ahead and he just waited for me at the bottom. Having your kids enjoy a sport which has defined so much of your life, is such a pleasure and the fact you can do it together, makes me very happy. Which brings me to my next point and why you are really here. For tips on how to get your family into skiing in a more affordable way. The truth is skiing is an expensive sport. But don't let that put you off. I can honestly say I have had some of the best times of my life engaging with the lifestyle, so it is definitely worth exploring, if you have the slightest inclination to do so. There is no doubting the financial costs involved, but there are a few tips you can use to make it more affordable. 1. Choose to go in the shoulder season. In Australia this is June or September. As I said in my last post, June can be very unpredictable in terms of quantity and quality of snow (this year is unusual). So try the first or second week of September. The lift tickets and accommodation rates drop by about 30 % at that time and so do the crowds. Yay. 2. Wait until the snow falls before you book. Which ever way you look at it, even in the shoulder season, for a family of four (2 adults and 2 kids), you will need to budget at least $1000 per day if staying on snow. That will include lift tickets, lessons for the kids, accommodation, ski hire, park entry and food. 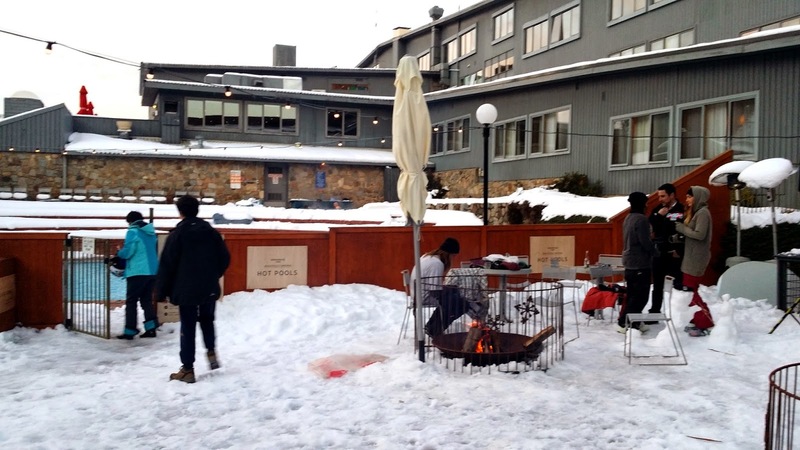 If you are going to be spending that much, you want to be sure there is some reasonable snow in the resort before you even put your hand in your pocket. 3. 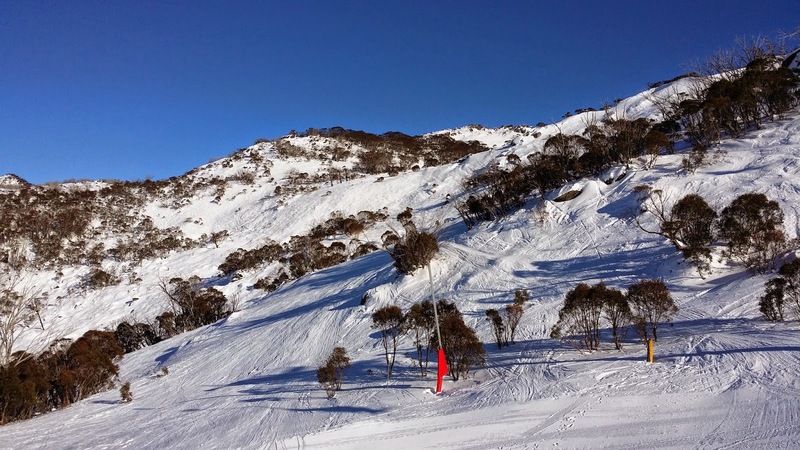 Check out the last minute accommodation deals on wotif and search for hot deals in resorts such as, Falls Creek and Mount Hotham (Victoria) Perisher or Thredbo (NSW). 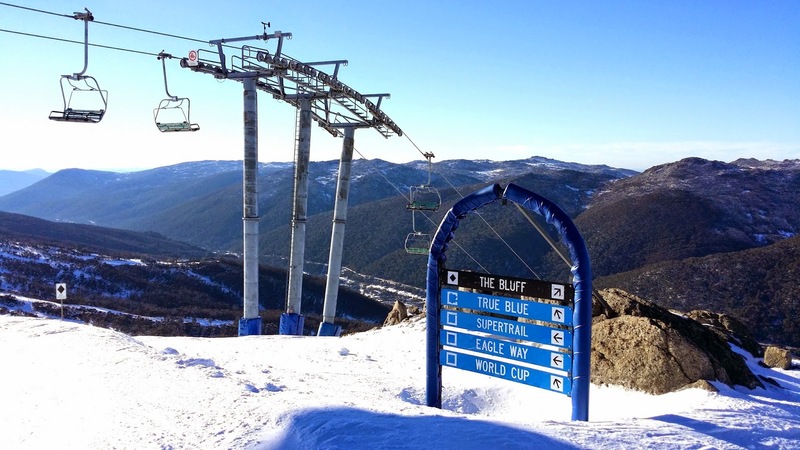 Mount Hotham has a Hot Deals page here. 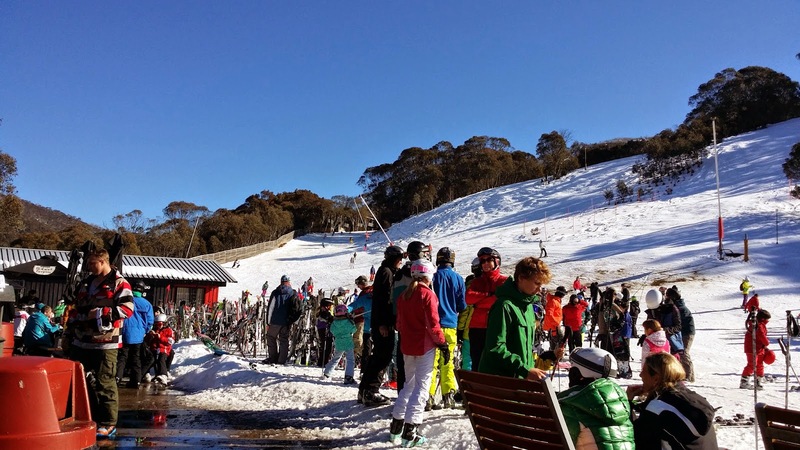 There's also a good Spring skiing deal (from 31 August 2014) for Thredbo, where 1 kid stays and skis free per full paying adult (Maximum 2 adults per booking). It appears the adult ski lift passes are also included in the accommodation package. 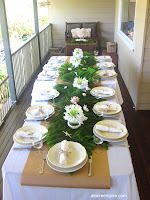 The package starts from $354 per night (must stay 7 nights) and is slightly more expensive for the 3 and 5 night packages. That is fantastic value and details are here. 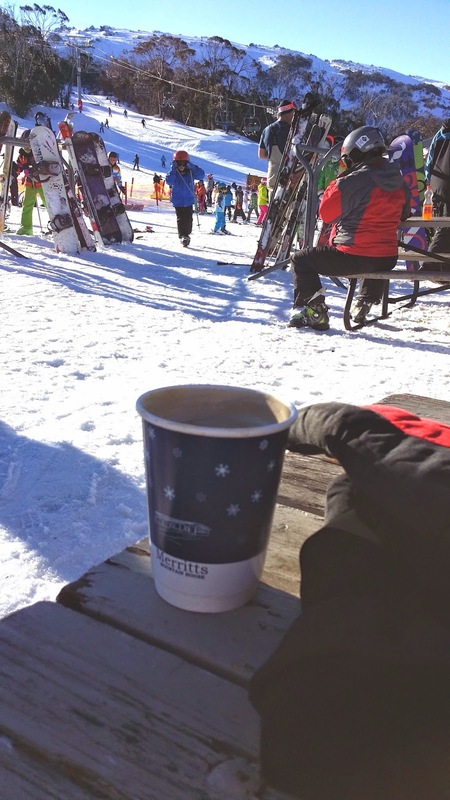 If possible, opt for packages that include full board, as dining out in ski resorts can be very pricey and lately, a bit hit and miss. 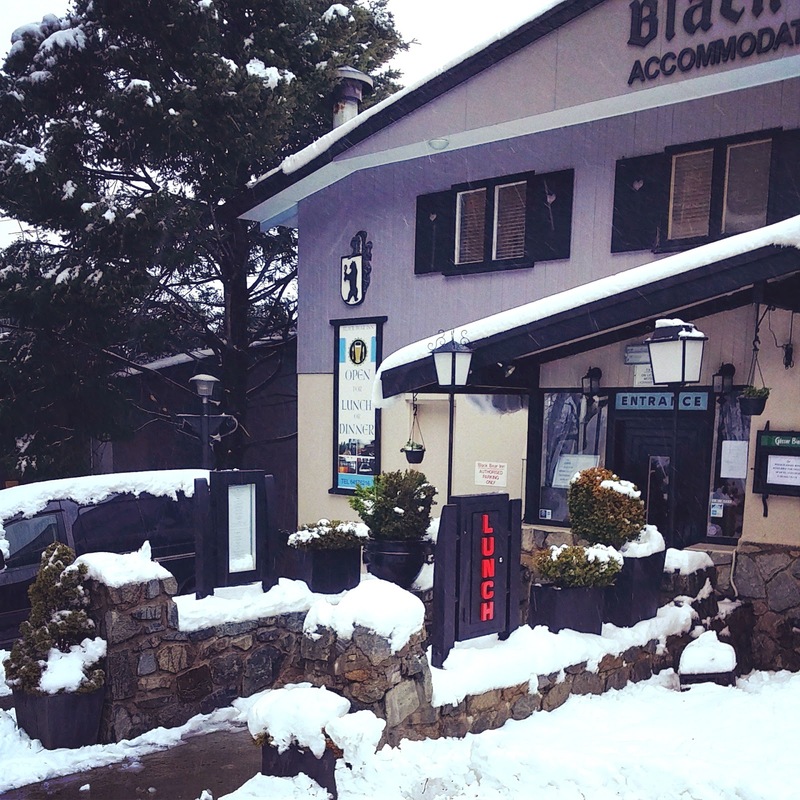 Much of the accommodation in Perisher and a lodge called Boali in Thredbo, offer breakfast, lunch and dinner included in your accommodation package. 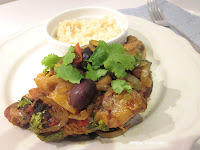 We stay at Boali by choice, as the food component makes it very good value for money. We also love the Lodge style accommodation, because there are usually other kids to play with yours and interesting people to talk to in the communal lounge area, fire side. 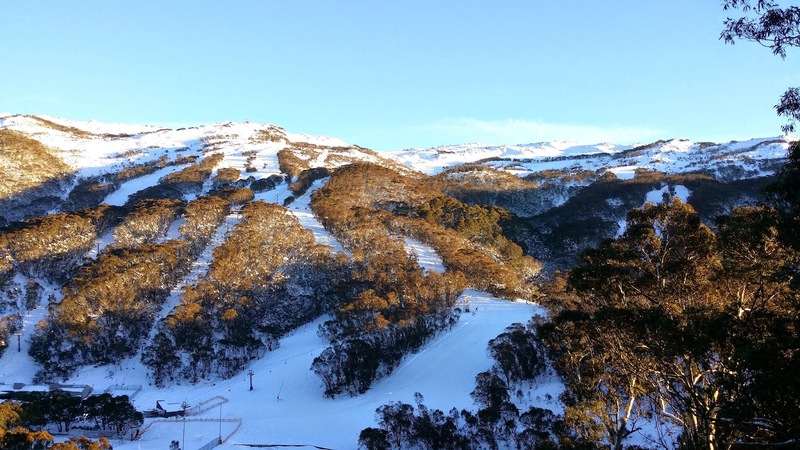 Thredbo also has savings of up to 20% on Winter lift, lesson and rental products, if you purchase online, 7 or more days in advance. This year we stayed at Winterhaus, which was good as well, and offers a full breakfast in the accommodation package. 4. You can also rent a self contained apartment and take all your own food. 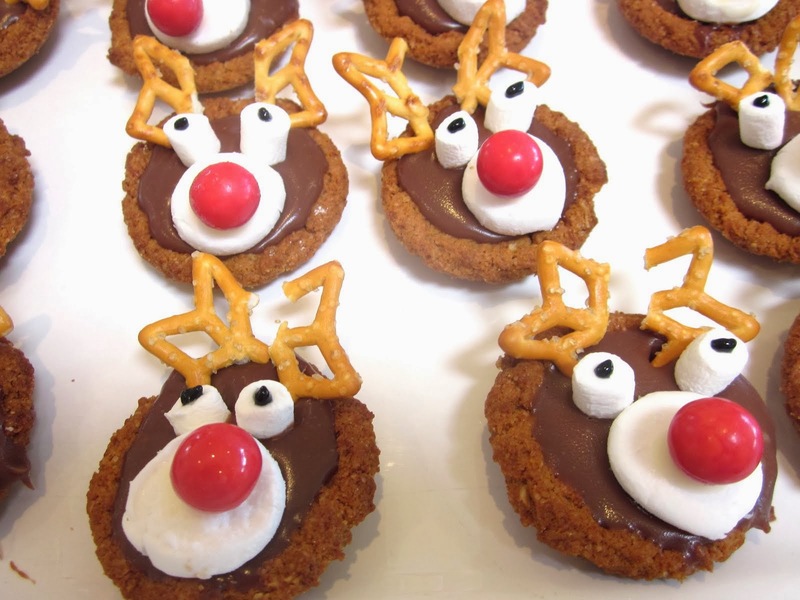 There are small supermarkets on snow, but as you can imagine they are quite expensive. So bring everything you need with you. If we stay self contained, I always pre make all the food and freeze it, as the last thing you feel like doing after a day on the slopes, is feeding the family. 5. 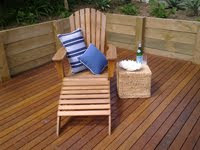 Search for more affordable resorts such as Mount Selwyn or Charlotte Pass. 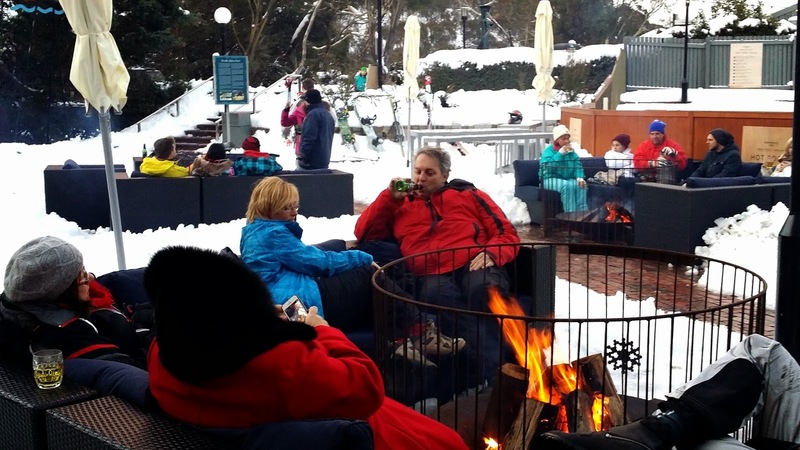 The skiing is not as advanced as the more popular resorts, but if there is good natural snow, these resorts can be a great place for a family skiing holiday. 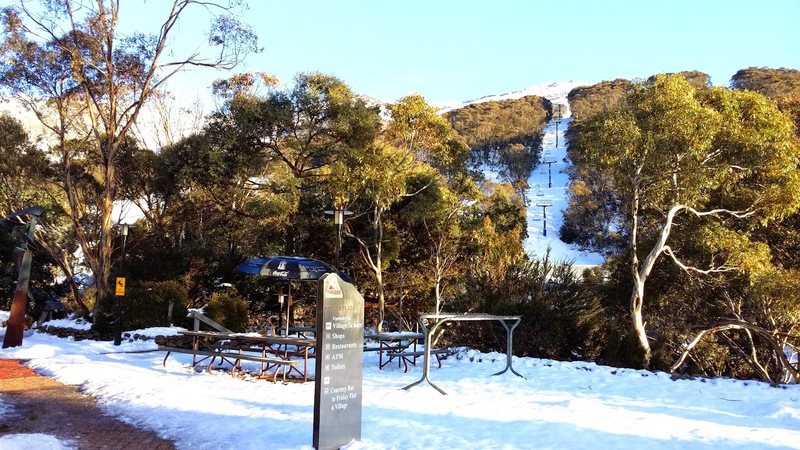 Mount Selwyn has a "New to the Snow?" page here. 6. 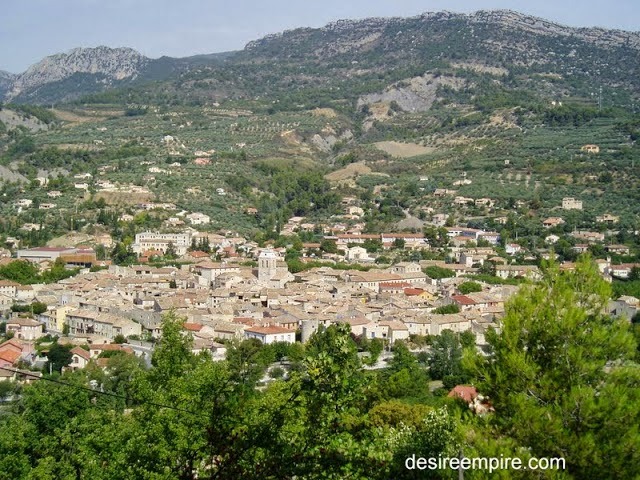 Alternatively choose to stay in feeder towns, which require you to drive into the resort daily. 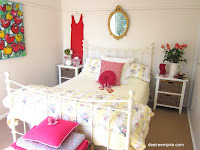 Towns such as Jindabyne ( NSW 25 minutes ), Cooma (NSW 1 Hour) or Bright (Vic 1 hr 20 mins) or Mount Beauty (40 mins Victoria). 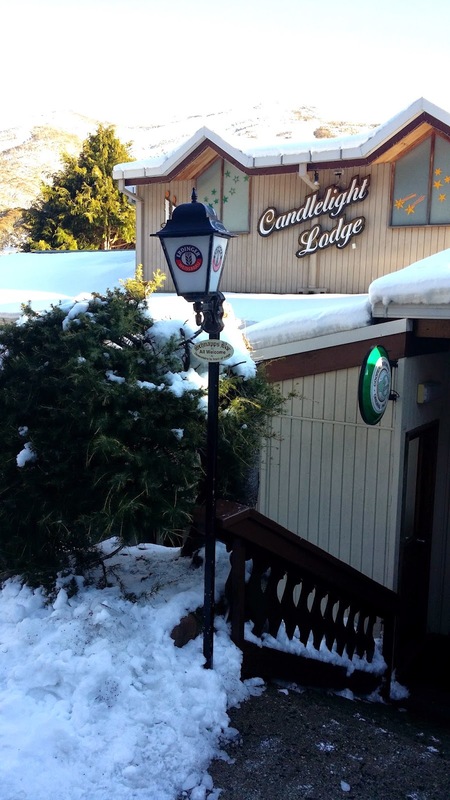 They are a shortish drive into the snow, but the accommodation is more affordable. Personally I think there is nothing better than staying on snow to get the full atmosphere of the alpine village and I have always regretted staying down the mountain when I have. It's a classic case of "You get what you pay for." 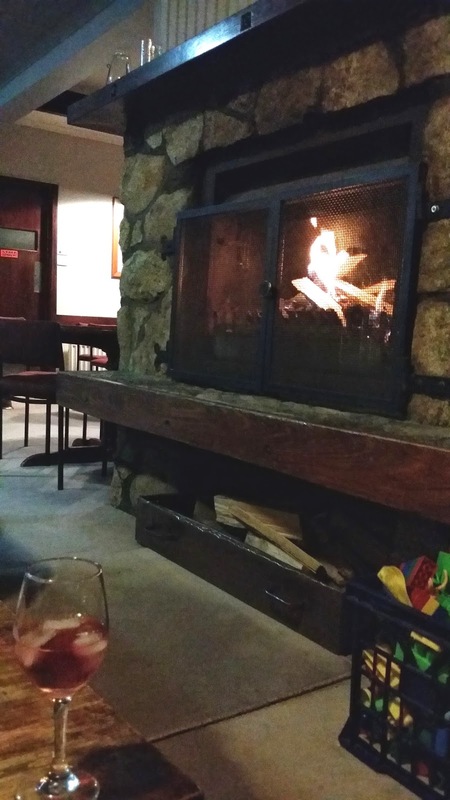 The Station Resort in Jindabyne is aptly named. 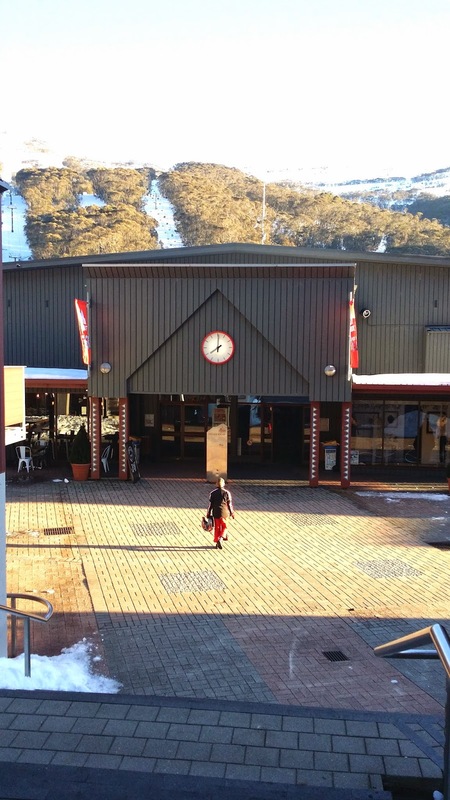 The ski tube, which goes to Perisher from The Alpine Way was supposed to begin from this resort, hence the name. In typical half hearted fashion, that part of the line was never constructed, but the budget resort is still there. Check here for any good deals. They currently have an accommodation package that allows kids to stay free in June and September if accompanied by two paying adults. And mid week rooms for $99 per night, subject to availability. 7. There are also camping options, such as the Jindabyne Holiday Park or tent and campervan style camping at Thredbo Diggings. Remember that you will not have drying room facilities in a tent, which may mean climbing into wet ski gear the next morning. Also if you are in a tent, the weather may defeat you, so you have to retreat to the car to sleep. A BYO camper van would be best in high Winter at the Thredbo Diggings. 8. 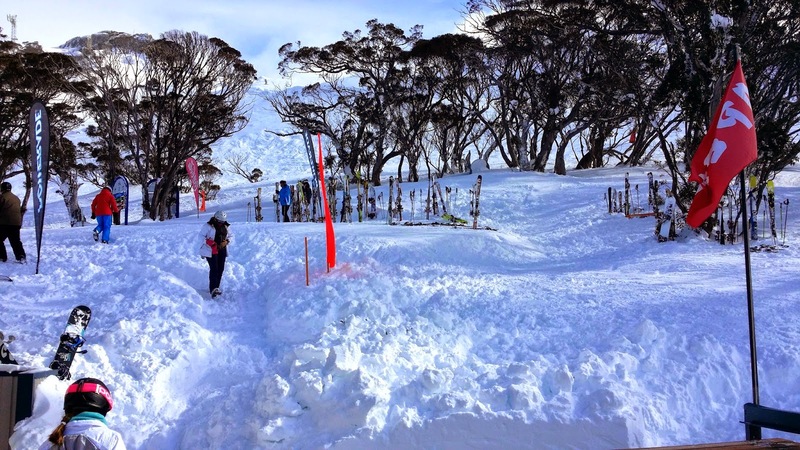 Rent your skis in Cooma, Berridale or Mount Beauty rather than on snow. The benefit is they are more affordable, but if you want to change your boots or any other part of the equipment, it can be a complete hassle. There are plenty of places to rent in the feeder towns, just look out for the signs. I also suggest renting your snow chains here. In the Winter months they are required to be carried and produced on demand, in the Kosciousko National Park, by all non 4WD vehicles during the ski season, which runs from June to October. 9. As for ski clothing, I don't think you can go past Aldi's May sale. The gear is fantastic quality and incredibly affordable. I also noticed today, Woolworths has a good range of Thinsulate parkers and ski pants ($30) on sale at very reasonable prices as well. I have also bought kids' ski suits at charity stores and garage sales for around $25 for an entire ski suit. It can be expensive to set yourself up at first, with goggles, ski gloves and thermals, but once you have it all, it can be used again and again. 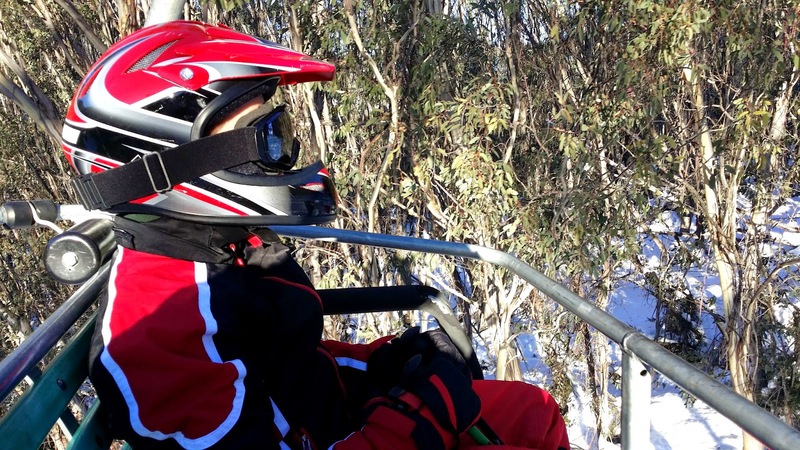 At Thredbo they want you to use helmets, so they included them for free in your ski hire package. Try to borrow what you can, if you are trying skiing for the first time. 10. Instead of booking for a week, try for 5 nights and four days skiing. Mid week from Sunday night and departing Friday, is a good option and the midweek crowds can be lighter too. 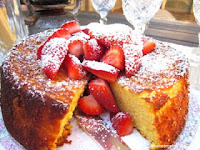 This is probably enough to give you a good taste and to determine whether you are going to continue with the sport. 11. Divide and conquer: That's what I did this year. It is much more affordable for one parent to take one kid at a time. This year it just worked out that way for us. 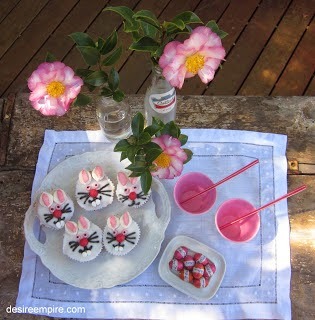 One child was staying at grandma's for the first week of the school holidays, attending an acting course. 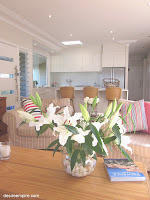 Mr Beach House had to work and my eldest and I were at a loose end. I thought what the hell, the snow is fantastic and it's only money. I knew we'd have a fabulous time and I would worry about the details later. I guess it's a matter of priorities and if you really want something, you just have to make it happen. For me it's all about the experience, I would rather go without new clothes and all the other trappings of life to have a ski holiday and fantastic time with my kid. 12. A great tip is to accept that you are going to be spending serious money, but know that you are also going to have serious fun. My dad always said that the difference between a good and a bad holiday was about $500. He's been dead for 15 years, so it's a bit more than that now, but I say 'yes' to that and why not? If you want it bad enough it's there for the taking. I hope these tips help you to get on snow as it is sooooooo worth it. 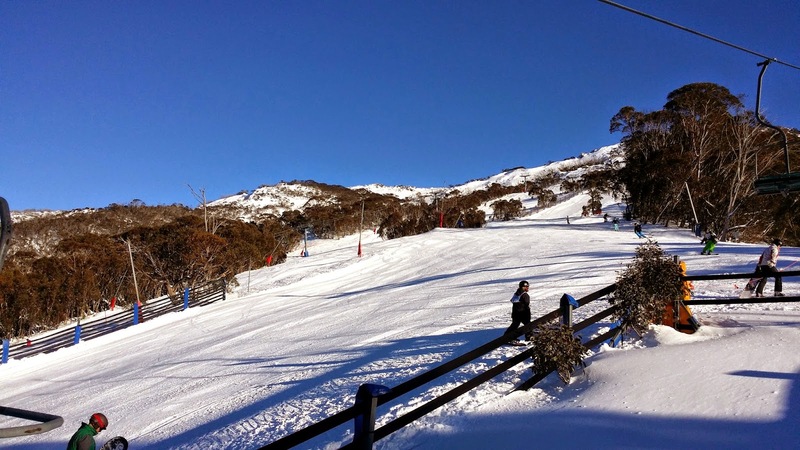 I'd love, love, love to go on a skiing holiday, but the $$$ and the fact neither hubby nor I have ever skiied (well, I have once, but I'm not entirely sure it counts - there was no snow, just ice!) is also a deterrent. 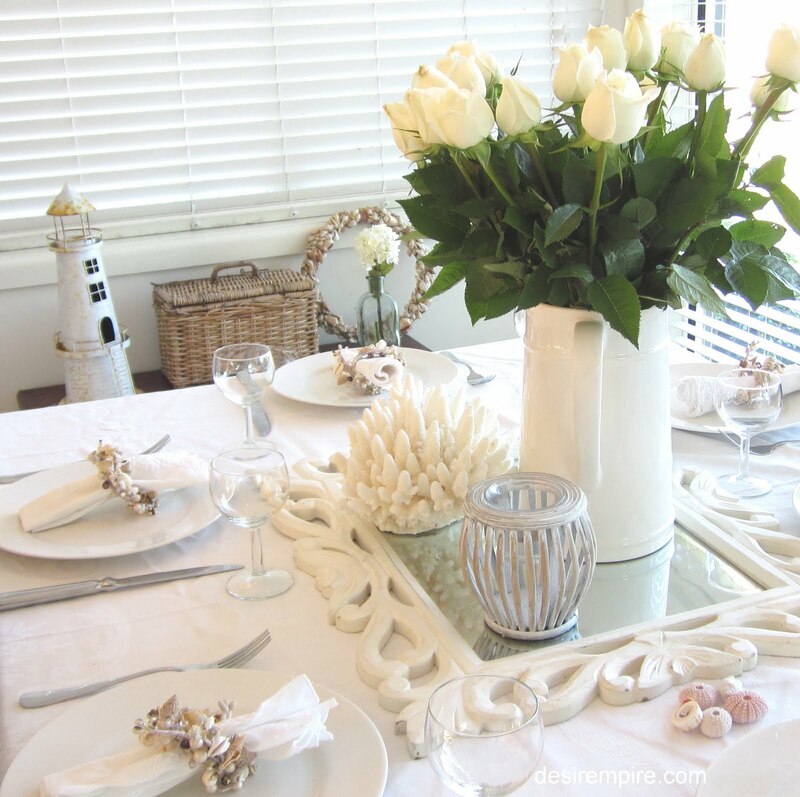 Great tips here though to keep up our sleeve when/if the time comes that we can afford it! My son would love to go to the snow but I have avoided it partly due to the cost. Now he may get the chance. 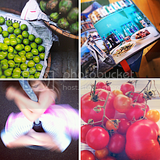 And THIS Carolyn, is why I love bloggers writing about their travels. All your years of experience wrapped up into one post for beginners like moi. 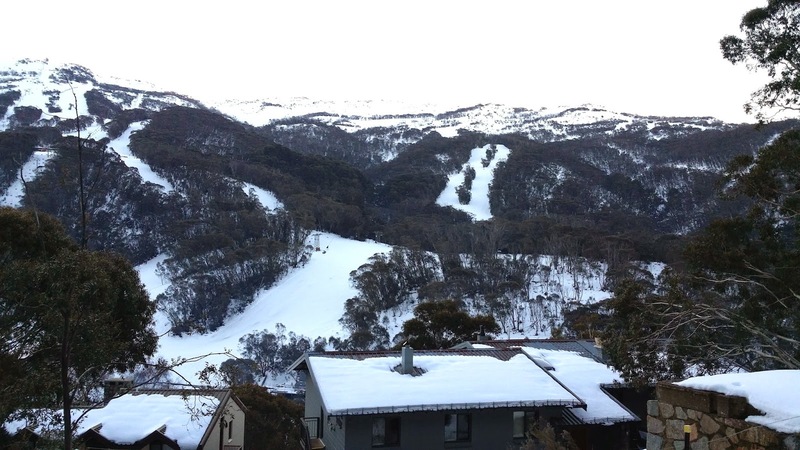 We did go to Jindabyne about 10 years ago with two boys but I'd definitely aim to stay on the snow as it's a pain to commute. Now I feel I can read this post and just follow the advice you give and I'll be FINE. And your dad was spot on, by the way. We can't take it with us, I bet he never regretted a cent spent on your skiing holidays. Divide and conquer is a great notion too... Lovely, great one, off to share! I hope to see you out there one day. 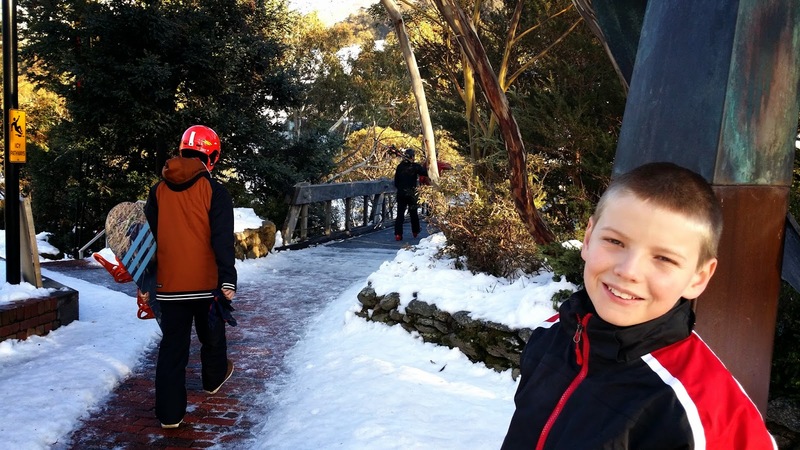 We went to the snow for a few days in the school holidays - we took our caravan and stayed in the Adventist Alpine village , <10min from Jindabyne. Caravan site was $30 a night for family and they had lots of sites available. Our caravan was warm ,though cramped with our 2 x 8yr and a friend's daughter. The kids could still run and play in the playground outside. The ski gear hire shop was right next door (<5mins) . Our was a very budget trip and best holiday in ages. I can't wait to go again. The Adventist Village has very inexpensive chalets - fully booked unfortunately. We self catered and had Pizza in town one night. The showers and toilets were great and even had some heaters. We turned our caravan's shower cubicle into a drying room with the fan heater - my hubby is brilliant. The kids toboggans were $9 for 2 days and they had a ball. So did I.
Hubby skied one day , that was expensive though he enjoyed it. Those are great additional tips. I forgot that kids don't need to ski to have a great time at the snow. They love tobogganing too. The drying room tip was fabulous, because there is nothing worse than having to gt back into wet gear. 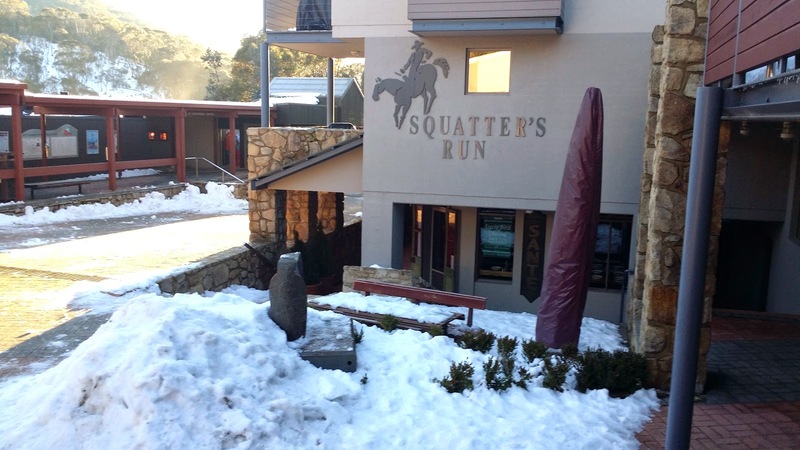 My sister lives in Melbourne and they hit Falls Creek whenever they can. They've got a pretty good set up I think. I'd love to do it with the kids one day. Will have to save my pennies! Love your tips! I've skied since I was three but we're able to do it out the front door of our farm. 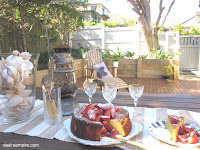 Thankyou for this post Carolyn! I was one of those who wanted a post on how to do it better and cheaper as I have looked into it many times and thought I was being completely ripped off with the prices. 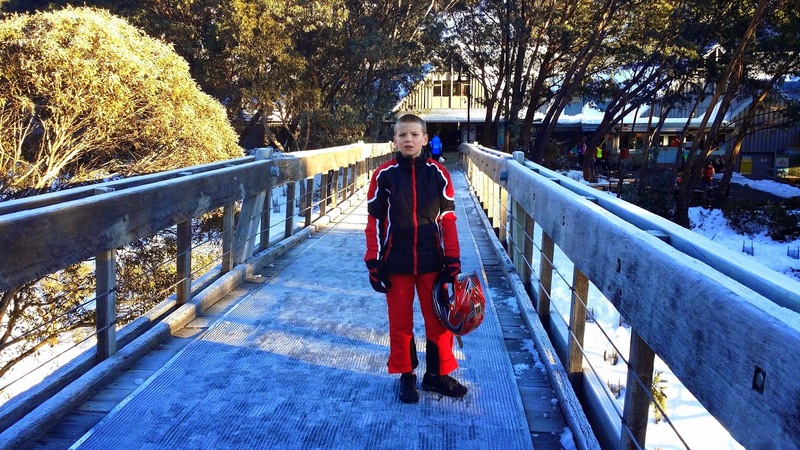 We skied in NZ long ago before kids and have often wanted to take them to the Aus slopes. Will bookmark this post for when the dry breaks. Thankyou! Well thanks for helping to inspire the post. I guess having been doing it for so long, you forget there is a need for this kind of informative post about where to start.